CITY OF WESTLAKE, Fla. – (February 13, 2018) – The City of Westlake has paved the way to secure its first medical facility to serve the residents of the city and Central Palm Beach County. 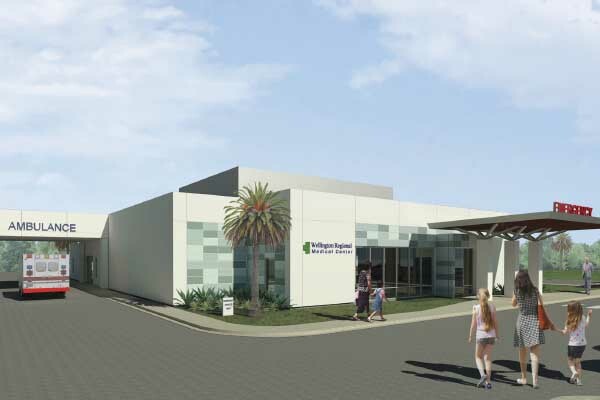 Last night, city council members approved a site plan for a 10,379-square-foot Freestanding Emergency Department (FED) with room for future expansion of a 2,000-square-foot medical office building. The 5.66-acre site will be sold by Minto Communities to Universal Health Services, Inc. (UHS) to develop the facility, which will be located at 16400 Persimmon Boulevard at the intersection with Seminole Pratt Whitney Road. Construction is expected to begin by the end of the year. UHS is one of the nation’s largest hospital management companies, operating more than 350 acute care hospitals, behavioral health facilities and ambulatory centers across the U.S. Locally, UHS owns the Wellington Regional Medical Center, which is one of the premier health care centers in Palm Beach County. Minto also has plans to develop a town center which will become the new downtown for the central part of the county. master-planned community. Westlake’s first neighborhood, the Hammocks, will have 325 homes and is currently under development with six model homes available for touring. This is the third major community project that Minto has undertaken since Westlake was approved by the county. The award-winning builder is currently improving a 1.5-mile section of Seminole Pratt Whitney Road. It also donated nearly 4.5 acres of land to Palm Beach County to construct Fire Station #22, which will serve as the district headquarters. Minto Communities, based in Florida since 1978, has represented integrity, financial strength and enduring value for 40 years. Minto builds exceptional new homes and communities to meet every lifestyle, with more than 25,000 new homes built in Florida in 44 communities throughout the state. Minto is dedicated to continuous improvement in design, quality and customer experience. Applauded and recognized as an expert in the home building industry, Minto was awarded “Best Floor Plans” from Ideal-Living magazine. These are just some of the elements that set Minto apart as an exceptional home builder and community developer and have earned the company national recognition that includes consistently high rankings from Eliant Customer Service Surveys. Minto has earned multiple national awards for community and home design, including Best Mixed-Use Community and Best Clubhouse from the National Association of Home Builders (NAHB) for The Isles of Collier Preserve community in Naples, Florida; and Best Clubhouse from NAHB for the Beach Club at Harbour Isle located in Sarasota-Bradenton, Florida.